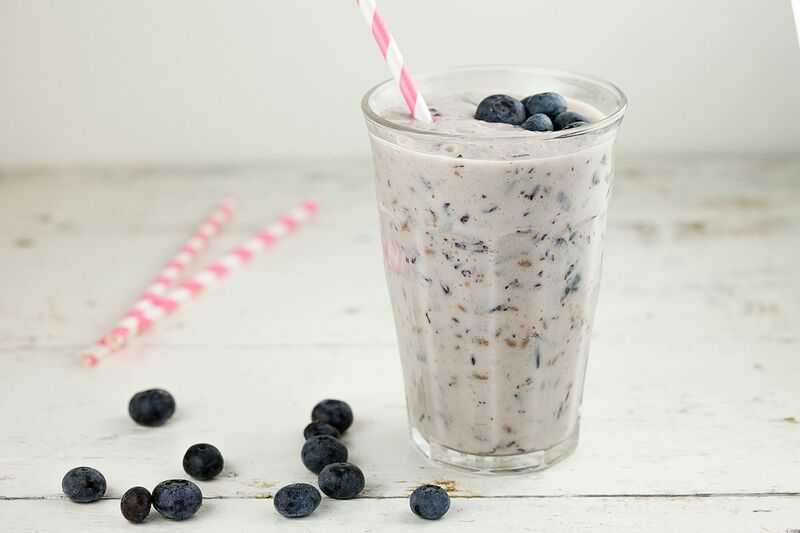 CHOP the banana into pieces and ADD them to the blender along with 250 gram blue berries. 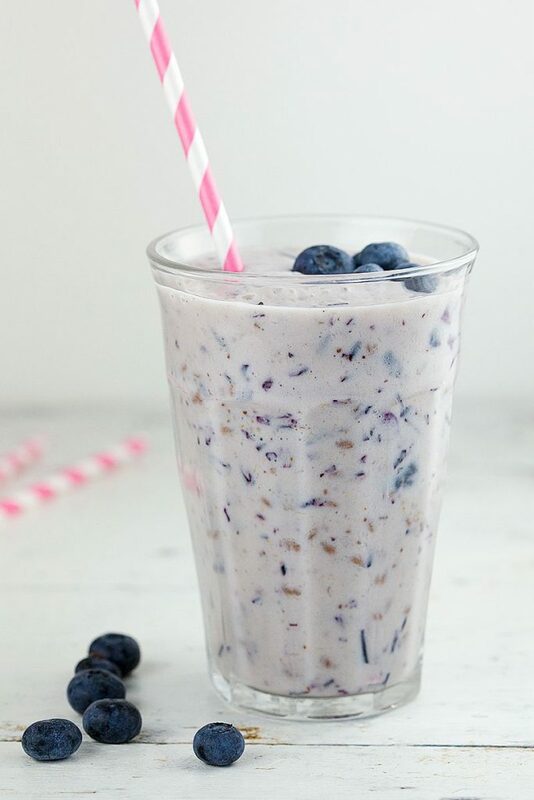 ADD 200 ml yogurt and 200 ml milk along with linseeds and honey to the blender. 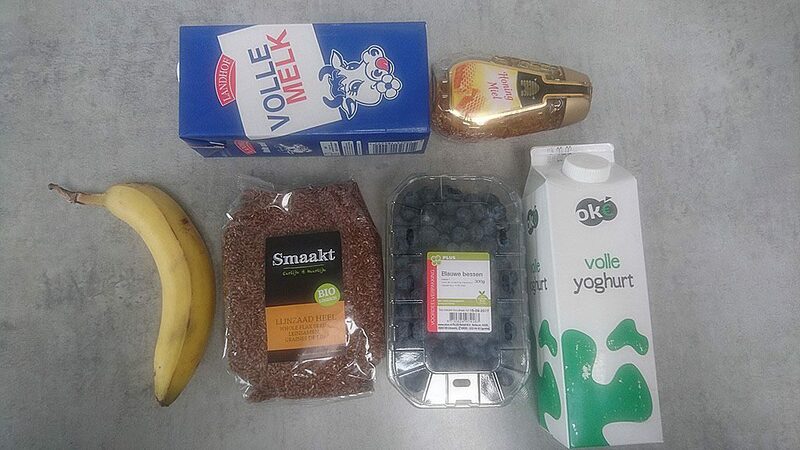 You can add more or less milk/yogurt, until you’ve reached the perfect thickness to your liking. BLEND until you’ve reached a smooth mixture, start with the lowest setting on your blender and end with the fastest setting. 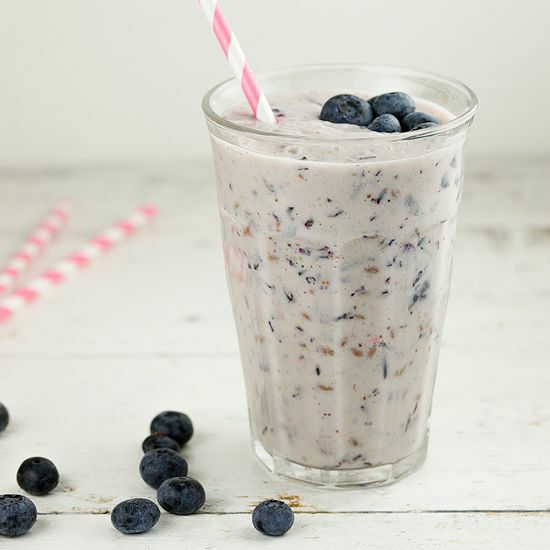 POUR the blue berry smoothie in 2 large glasses and serve with some more blue berries on top if you like. Enjoy!